12 Years a Slave, directed by Steve McQueen. Fox Searchlight Pictures. 134 minutes. “Someone must have slandered Joseph K., for one morning, without having done anything truly wrong, he was arrested.” So begins one of the most emblematic novels of the twentieth century and so, more or less, begins the most generally honored motion picture of 2013: 12 Years a Slave. Directed by the forty-four-year-old British filmmaker and video artist Steve McQueen from a screenplay by the American novelist John Ridley, itself based on an 1853 account of the same title, 12 Years a Slave is, like The Trial, a trapdoor over the abyss. Although less abrupt than Kafka’s novel, the movie wastes little time before plunging its viewer into a nightmare of dehumanization. 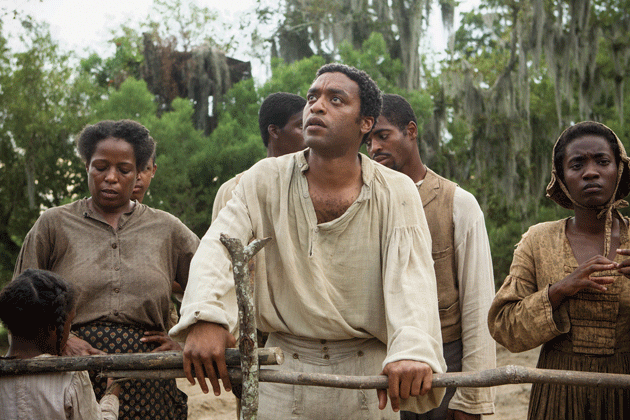 Eleven minutes after Solomon Northup (played by the British actor Chiwetel Ejiofor) has been introduced as a happy man with a family, a livelihood, and a comfortable home in bucolic Saratoga Springs, New York, he wakes to find himself in darkness and chains. Protesting his inexplicable condition, he is beaten with a paddle until the paddle, used because it leaves fewer marks than the whip, snaps. His earlier life has evaporated; his new reality is that of a black man in the antebellum South. Northup’s book, transcribed from his oral account by a white man, the New York state legislator David Wilson, is notable among so-called slave narratives for its specificity in names, places, and dates. It is not only a blunt, detailed account of the physical and psychological terror with which America’s “peculiar institution” was maintained but also a chilling evocation of non-personhood, as Northup’s identity is obliterated entirely. The son of a former slave but himself born free, Northup was persuaded by two con men to accept work in Washington, D.C., and there was drugged, kidnapped, penned, brutalized, given a new name, and packed off to New Orleans to be sold as chattel. Could it be possible that I was thousands of miles from home — that I had been driven through the streets like a dumb beast — that I had been chained and beaten without mercy — that I was even then herded with a drove of slaves, a slave myself? Were the events of the last few weeks realities indeed? — or was I passing only through the dismal phases of a long, protracted dream? McQueen’s 12 Years a Slave is, like the book, an existential ordeal, but it is also by far the most visceral of those recent motion pictures responding to a unique actor on the public stage — Barack Obama. J. Hoberman 's most recent book is Film After Film; or, What Became of 21st-Century Cinema? (Verso). 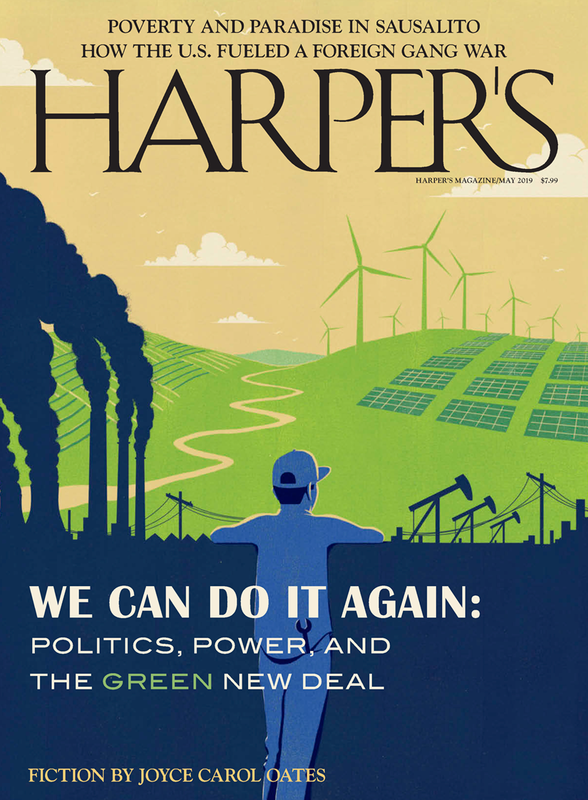 His last article for Harper’s Magazine, “Open Happiness,” appeared in the May 2013 issue.